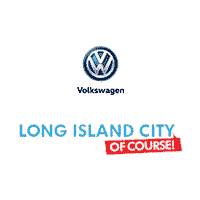 Whether you’re looking for a Volkswagen Jetta lease or you’re looking for a Volkswagen Atlas lease offer, we at Long Island City Volkswagen can help. Leasing a Volkswagen is as simple as visiting our dealership near Astoria. Learn more about what you might need as well as some tips to keep in mind when thinking about leasing a Volkswagen model, then apply for financing today! How Do I Lease a Volkswagen? You start by choosing the vehicle you’d like to lease. Once you decide which vehicle you want and the features you need, you’ll want to browse our lease offers to see if any apply to you. When you lease a new Volkswagen model, as mentioned above, you have lower monthly payments, services covered through the dealership, and flexibility at the end of the lease term to buy the vehicle, lease a new vehicle, or continue your original lease. When you finance with a dealership, you’ll have to pay for regular maintenance out of pocket. Your monthly payments will typically be higher than a monthly lease payment. We want to ensure you find a model you love within your budget, that’s why we offer Volkswagen lease deals to make the car-buying experience less stressful. Find the model that best suits you and check out our lease offers before making your way to Long Island City Volkswagen. If you have any questions pertaining to leasing, trading in a financed car, or something else, contact us!